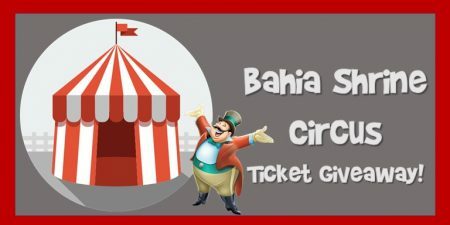 Bahia Shrine Circus 2019 Ticket Giveaway – We’re giving away 25-Family Four Packs to see the Bahia Shrine Circus May 4-5, 2019. It’s easy to win and fun for the whole family! Congratulations to the following people for winning tickets to the Bahia Shrine Circus on May 4th or 5th! Candace Davis, Ashley Fetzci, Chelsea Maceira, Sharron Southall, William Schaper, Johanna Estrafa-Finnerty, Andrea Patenaude, Teresa Mailbot, Meredith Long Scherer, Star Fiztpatrick, Gina Verdon, Amanda Bryse Hoehnke, Dorothy Haskell, Andrea Brianne, Janetter Rivera, Laurie Nune, Daniel Sansoni, Mandi Williams, Yashira Rivera, Kelli Weaver, Maeghan Berge, Sharry Burgess, Christopher Whittington, Michael Stark and Abbey Brooks. To enter, simply head to our Facebook Page and look for the top post! (While you’re there, we’d love for you to like our page). 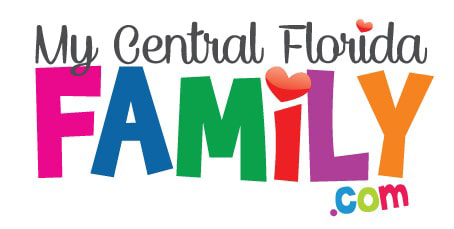 Then, comment on the post about the Bahia Shrine Circus Ticket Giveaway by tagging THREE Central Florida moms or dads that you think would love to go to! That’s it. Then, you’ll be automatically entered to win a Family Four Pack of tickets! We’ll award these tickets through our Facebook page on April 20, 2019 and you will receive your tickets by mail. The 65th Annual Bahia Shrine Circus will be held at Silver Spurs Arena / Osceola Heritage Park in Kissimmee, Florida on Saturday, May 4, 2018 and Sunday, May 5, 2018. Performances are at 10:00 am, 2:00 pm and 6:30 pm daily, with six shows of traditional American three ring circus excitement provided by The Royal Hanneford Circus. Bahia Shriners are a fraternal family, with shared goals and values, one of the most important being healthy and happy children! The Bahia Shrine Circus is our unique annual fundraiser to promote awareness of the Shriners Hospital for Children, and to support the financial goals of the Bahia Shrine Center in Orlando. All proceeds from the Circus benefit the operations of Bahia Shrine Center in Orlando. Since 1954, our annual circus provides wholesome, fun, family entertainment for the Central Florida community. Corporate and municipal sponsors enable Bahia to provide thousands of complimentary circus tickets annually to nonprofit organizations that serve special citizens and families in our community, including: Schools for disabled and special needs children and adults; group homes; senior programs; veterans; orphanages; foster families; therapeutic ministries; health charities; domestic violence shelters; sporting programs; homeless centers; scout troops; and rehabilitation/halfway houses. Click here for more information on the Bahia Shrine Circus. 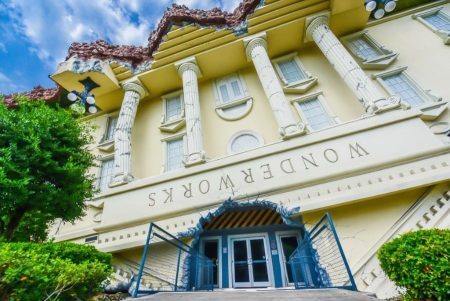 Disclaimer: This event is subject to last minute cancellations and changes which might not be reflected in this MyCentralFloridaFamily.com post. Please always confirm with this family-friendly business by calling or clicking.